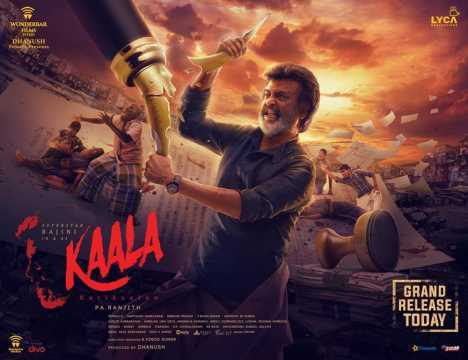 Kaala Karikaalan, which revolves around Rajinikanth, drives home the point that for the rich land is a source of power whereas for the poor it is a source of survival and hence their right. Make no mistake. Director Pa Ranjith's Kaala is probably the best Rajinikanth film to hit the screens in recent times. The film, which revolves around Rajinikanth, drives home the point that for the rich land is a source of power whereas for the poor and the downtrodden it is a source of survival. The movie clearly puts out the message that one's land is one's right, and any attempt by those with power to usurp the lands of the poor for their own purposes will only result in opposition, maybe even a revolution. Kaala Karikaalan (Rajinikanth) is the uncrowned king of Dharavi, the notorious Mumbai slum where he resides with wife Selvi (Easwari Rao) and their four sons and their families. To outsiders and those looking to usurp the lands of the poor in the slum, Kaala is a rowdy and a criminal. To those who enjoy the safety his followers and he provide, Kaala is a guardian. The entire slum and its constituents have so much faith in Kaala that they back him to the hilt. After all, the man and those before him have been protecting the interests of the slum dwellers for long. Kaala is so popular in the slum that even when the ruling party manages to capture every other constituency in the city during an election, it fails to capture Dharavi, where Kaala's candidate wins handsomely. It is at such a time that the ruling politicians come up with a plan to usurp the lands. They promise to back the efforts of an NGO which is interested in building modern homes for the slum dwellers and developing the area. Enter Zareena (Huma Qureshi), who has helped in developing slums in other countries like Brazil into modern city spaces. Zareena, who was once engaged to Kaala, comes up with a plan that she thinks will benefit the slum dwellers. However, Kaala and his supporters shoot it down, understanding the politics behind the plan. For long, the ruling party has been trying to usurp the land in the slum under the pretext of 'cleaning the city' and 'development'. However, they have been unable to do anything because of Kaala and his supporters, who have a good understanding of the history of the place and of the politics involved. Adding to it is the defeat in the election, that leaves the ruling party agents in the area red-faced. The defeat is crushing in particular for a local gangster representing the ruling party (played by Sampath Raj), for he had been counting on the election to wrest control of the slum from Kaala. After the defeat in the election, a furious Sampath looks for an opportune moment to kill Kaala. But Kaala escapes, thanks to his eldest son (Dhileban), who turns up just in time to defend him. Sadly, though, a young boy from the slum is brutally murdered. Kaala chooses to hit back and butchers Sampath on a bridge. That brings him face to face with Sampath's master, the notorious politician Haridev Abhyankar (Nana Patekar). Abhyankar believes he was born to rule and that all land belongs to him. He will stop at nothing to usurp it. Sampath's death brings into conflict two very powerful leaders willing to take on each other for reasons that they deeply believe in. Who will win this war and at what cost is the question. First and foremost, full marks to Ranjith for having explained well the difficulties that slum dwellers face. Be it the lack of clean toilets or privacy, the director highlights the fact that for the poor in slums, even simple needs remain a distant dream. For instance, there is a dialogue in the film when Zareena goes about the slum asking inmates how they would like their houses to be redesigned. One woman says, "We need some space for privacy in our homes. Forget kissing my husband, I have to wait late into the night to even hold his hand." These are very real issues that only those who have been to slums or worked in slums would know. Probably this is the first time such problems are being highlighted in a commercial film and that is something that needs to be welcomed. Next, Ranjith portrays realities as they are. 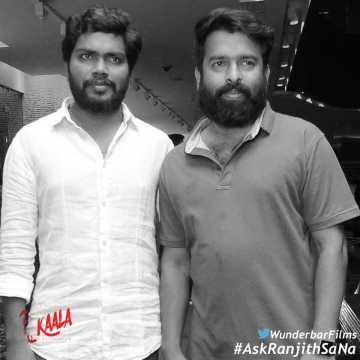 Unlike most of Rajini's earlier films, in which he is shown doing abnormal or extraordinary things that are usually far-fetched, Ranjith treats Rajini's character, Kaala, as a human being with limitations. This is not to say that Kaala's character is not glorified. It is. But it is done in such a fashion that as a viewer, you are convinced that such appreciation is deserved. The sequences fashioned to glorify Rajini's character are well within the limits of reality, but, at the same time, they work when it comes to lifting the stature of the character. The first meeting between Abhyankar and Kaala in Dharavi is a classic example. The film has some brilliant performances. Rajinikanth himself has done a fine job worthy of an award. The superstar might be ageing, but he does so gracefully in this film. But Nana Patekar as Haridev Abhyankar is brilliant. He masterfully handles his character and steals the show, often overshadowing even Rajinikanth, around whom the plot is woven. The film has exceptional performances from at least six other artistes. The first is Samuthirakani, who plays Kaala's loyal friend. Samuthirakani, a National award-winning actor, plays Kaala's drunkard friend to perfection. 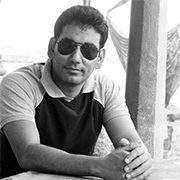 Next is Sampath as the ruling party's hoodlum in the slum. His role and performance are what get the storyline moving. Then there is Dhileban, who plays Kaala's son and trusted general when it comes to launching attacks or defending territories. Anjali Patel puts in a fiery performance as a vociferous rights activist. Her performance needs to be lauded as does that of Easwari Rao, who plays Selvi (Kaala's wife). Huma Qureshi as Zareena also does a neat job in the film which has a really good background score by Santhosh Narayanan. The music director's work is just brilliant. Rajinikanth's introductory scene is, in fact, one of the best in the film, thanks primarily to Santhosh's music. If Ranjith has managed to narrate such a powerful story in so convincing a manner, it is only because cinematographer Murali G is outstanding. 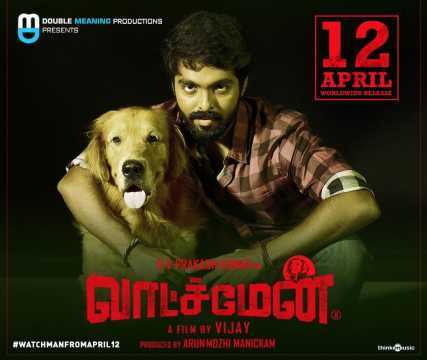 The film is a visual treat as Murali's visuals keep you glued to the screen. Be it lighting, angles, colour or shots, the cameraman seems to have got them all right, each time, every time. Sreekar Prasad's editing is just right. The film has just one drawback and that is the manner in which it ends, which might come as a disappointment to ardent Rajinikanth fans. But the point the director is trying to make is much bigger than any individual. On the whole, Kaala Karikaalan is a film that needs to be watched, not because it is a Rajinikanth film but because it has a very powerful story to tell.